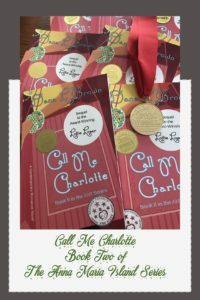 This time last year I was busy getting Call Me Charlotte ready for release in Florida, and all was well with the world. Or so I thought. Several weeks before our journey my 93 year old mother sustained an injury that pretty much incapacitated her. While I was grateful that the The Captain and I were headed to Florida, and could help as caregivers, I knew it would be hard to really concentrate and enjoy releasing my book when my mom was in such pain. When we returned home I knew it was time to get moving on The Greysons, but a comment from another author about Charlotte, paralyzed me. Was I not a good writer after all? Had Lottie Loser just been a fluke? The thoughts were like a tornado swirling in my head and for the first time I found myself doubting my decision to leave a job I loved to write. Enter my Beta Reader. I call her mine because while she Betas for lots of authors, it’s because of her that I found joy again in writing. She’s become my friend, the keeper of my secrets, and a character in the book I’m working on, The Four Seasons of Summer. In the book her name is Dena Daniels, and to “protect the innocent” as they say, that’s what I’ll call her here. I asked “Dena” how she became a Beta, because trust me she does this for lots of authors, and this is her story. One of her dear friends from her high school days wrote a book and asked Dena to read it for errors. Together they smoothed out the wrinkles, and she found that she enjoyed the task. With some urging from her friend, Dena decided to go public with her editing/Beta abilities, and voila! A Beta Star was born. She now reads books daily, giving feedback and editing suggestions to authors like me. I’m not at all sure if Dena knows what she brings to me every day, both as an author, and as a person. I’ve never been good about sharing my work ahead of time, but Dena has read The Greysons, and gives it two thumbs up! But better yet she’s instilled in me the belief that I need to write what I enjoy and what makes me happy. Those words coming from a person who reads for a living, were music to my ears. And Call Me Charlotte? Well as you know I won Gold Medal, a National award, from The Florida Authors and Publishers Association 2018 Presidential Awards, so someone liked it! Now here it is a new year, and I’m preparing to release The Greysons. This time though I’m thinking a Virtual Release and maybe a party at my home for friends. This past year has brought me every emotion under the sun but I’m thankful to tell you that today my mom has recovered and I’m back to being me. The person who left a 32 year career in banking to write a book, and made her Fairytale come true. Thank you “Dena” for your friendship and support.